On the 31 August 2011, the Republic of Mozambique joined the SUN Movement with a letter of commitment from Dr. Nazira Carimo Vali Abdula, the Vice Minister of Health. 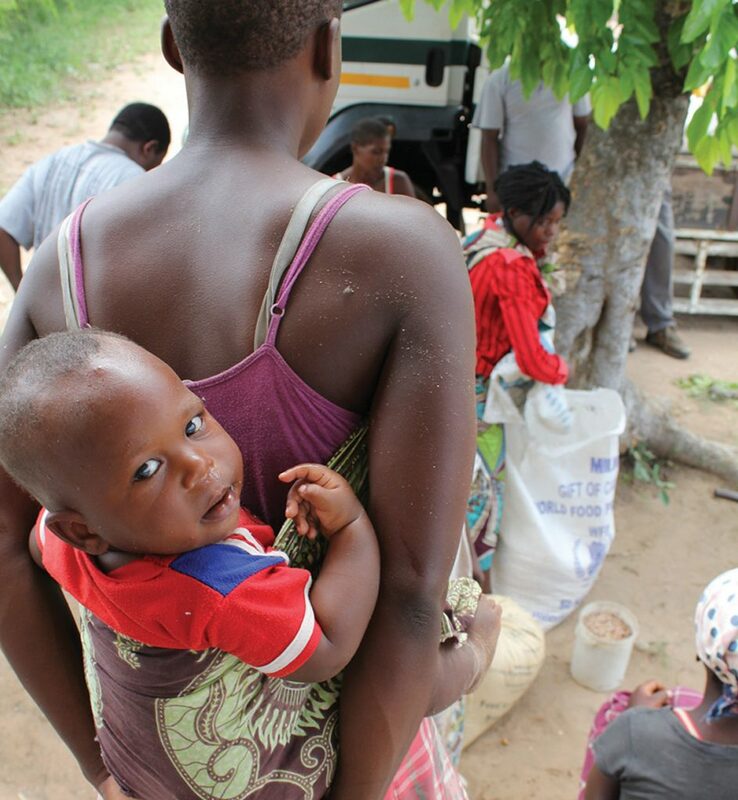 At the time, Mozambique had included the reduction of chronic undernutrition in the objectives and priorities of the Governments Five Year Plan (2010 – 2014) and the Poverty Reduction Strategy Paper (2011 – 2014) where chronic malnutrition is identified as an impact indicator. Mozambique had also adopted the “Multi-sectoral Action Plan for the Reduction of Chronic Undernutrition” which is coordinated with a multi-sectoral approach coordinated by the Technical Secretariat for Food and Nutrition Security (SETSAN) and a Nutrition Partners Forum that coordinates support to the government. As a low-income country, 70% of Mozambicans live in rural areas with food deficit and 54% of them fall below the national poverty line. The country’s economy is essentially agricultural. The share of crop production and livestock to rural household income is about 60% and 5%, respectively. This sector contributed to 24% of the GDP in 2013, and currently employs 90% of the country’s female labour force and 70% of the male labour force, representing 80% of the total active population. The multi-sectoral platform (MSP) for nutrition, convened by the Technical Working Group of the 2010-2020 Programme for the Reduction of Chronic Undernutrition (GT-PAMRDC) through the Technical Secretariat for Food Security and Nutrition (SETSAN), has ensured capacity-building for provincial technical groups on the inclusion of nutrition into provincial and district economic plans. The PAMRDC is now decentralised to all 11 provinces, but it has proved challenging to ensure participation of all sectors at the district level. Two provinces have initiated this process. 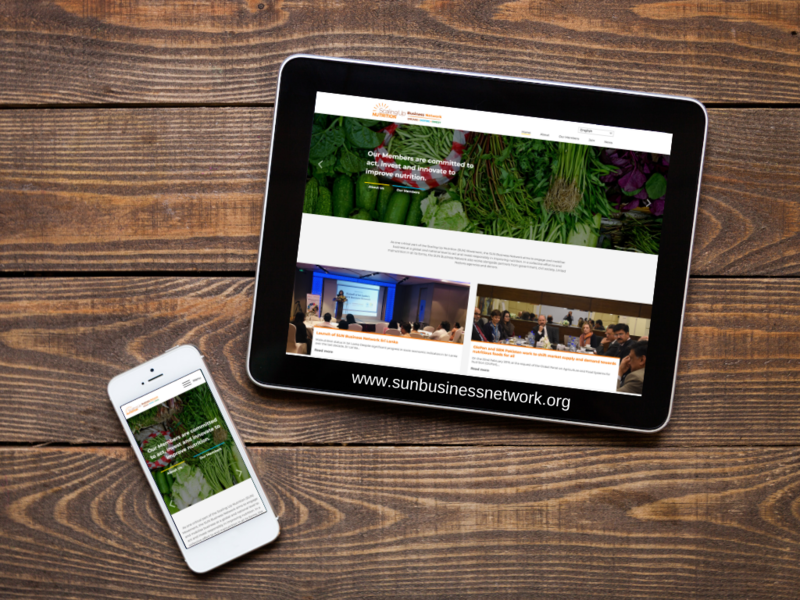 A SUN Business Network (SBN) kick-off meeting and consultative workshop was conducted with the participation of stakeholders from the private sector, donors, civil society, UN and the government. Civil Society Networks have been established in four provinces. 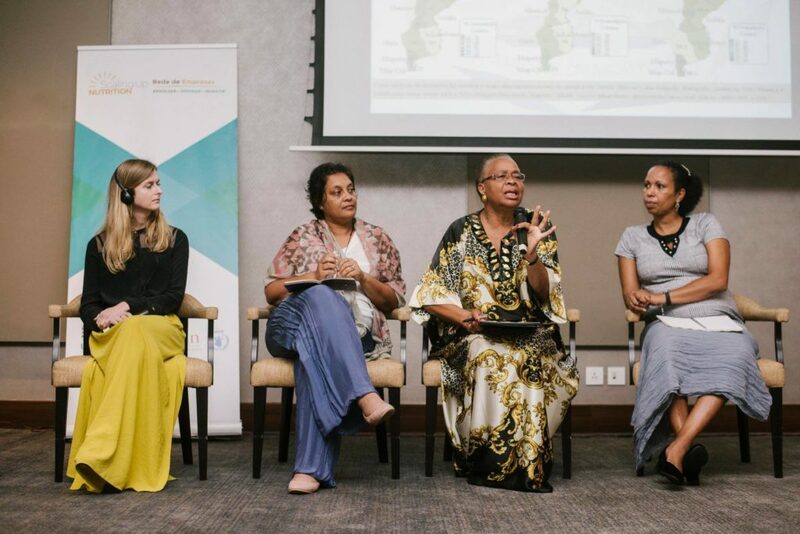 The Multi-Sectoral Platform for Nutrition (SETSAN) has been decentralised into the 11 provinces of Mozambique, through provincial technical working groups. Except Maputo and Inhambane, each province has, since 2015, Government-approved activity plans. Challenges still exist in coordinating the implementation of the 2010-2020 Programme for the Reduction of Chronic Undernutrition (PAMRDC) at the district level. Local networks have been created, of which the UN and Civil Society Networks are particularly active. The Business Network was set up in 2016. The Technical Secretariat for Food and Nutrition Security (SETSAN) is the coordinating body for nutrition under the Ministry of Agriculture and Food Security. The Technical Working Group of the national Multi-sectoral Action Plan to Reduce Chronic Undernutrition (PAMRDC) is the coordination mechanism under SETSAN through which relevant line ministries are engaged, including health, agriculture, gender, child and social action and education. Technical Groups have been created at provincial level (8 out of 11 provinces) and the remaining to be approved shortly. Networks of different stakeholder groups work in close coordination with the SETSAN. The Civil Society Platform (SCP) is coordinated by the Association for Food and Nutrition Security (ANSA) and Helen Keller International (HKI) with networks established in three main regions in the country. 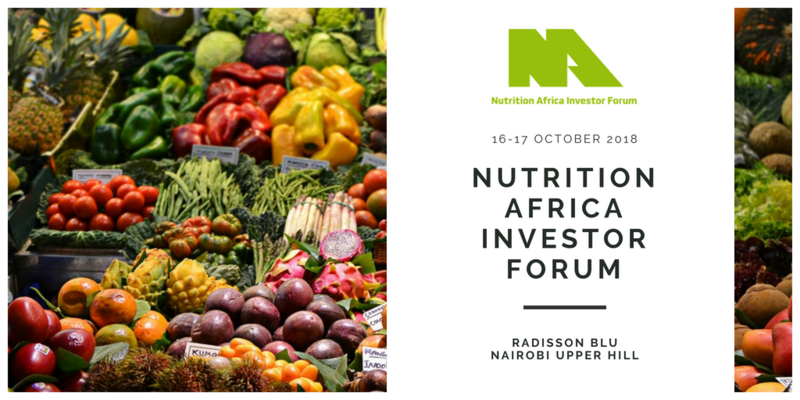 The Nutrition Partner Forum (NPF) is composed of donor and United Nations (UN) agencies and is chaired by the United States Agency for International Development (USAID) and co-chaired by Irish Aid. UN REACH brings together UN agencies to support the implementation of the PAMRDC. The Global Alliance for Improved Nutrition and the World Food Programme are facilitating the set-up of a Business Network. In addition to the networks, Mozambique has identified Nutrition Champions including the First Lady, the Ministers of Agriculture and Food Security and Health, musicians, singers, religious leaders and representatives from civil society and private sector. New laws, strategies and plans have been approved in the past year, including the provincial PAMRDC; a law on food fortification, as well as a food fortification strategy; a communication strategy for nutrition behaviour change; sectoral economic and social plans (PES) with nutrition components; and an operational plan for agrarian development. 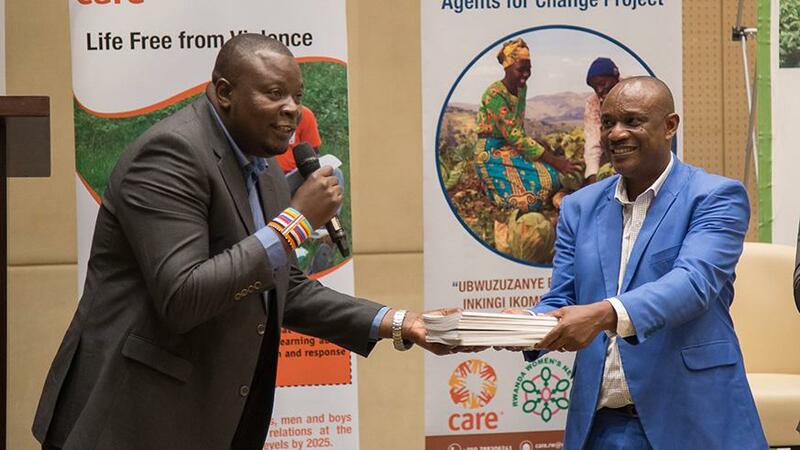 Advocacy campaigns by civil society have targeted policy-makers to foster ownership and accountability, and to position nutrition as a key factor for the well-being, income and development of children, families, communities, and the country. The 2015 mid-term review of the Programme for the Reduction of Chronic Undernutrition resulted in the revision of a range of legislation on, for instance, food fortification. Numerous strategies and plans, such as the Communication Strategy for Social and Behaviour Change for the Prevention of Malnutrition, economic local plans, or the operational agricultural plan, have been revised. During 2015-2016, nutrition advocacy and communication activities have been in the spotlight: different champions have been nominated, campaigns and festivals for nutrition organised and training held. The Strategic and Action Plan for Food Security and Nutrition (ESAN II) 2008-2015 is in the final process of evaluation and the results will support the design of ESAN III. The national PAMRDC has undergone mid-term review to increase the alignment of interventions. Other policies which are nutrition-sensitive include the National Investment Plan for the Agrarian Sector and National School Feeding Programme. The five year plan for the Government of Mozambique (2015- 2019) Plano Quinquenal do Governo (PQG) approved by the Parliament incorporates actions to guide the government during its mandate, and includes specific areas of action for nutrition. These include the expansion of access to health services in order to reduce maternal and child mortality and stunting, nutritional education programs, food fortification and farming of highly nutritious crops. 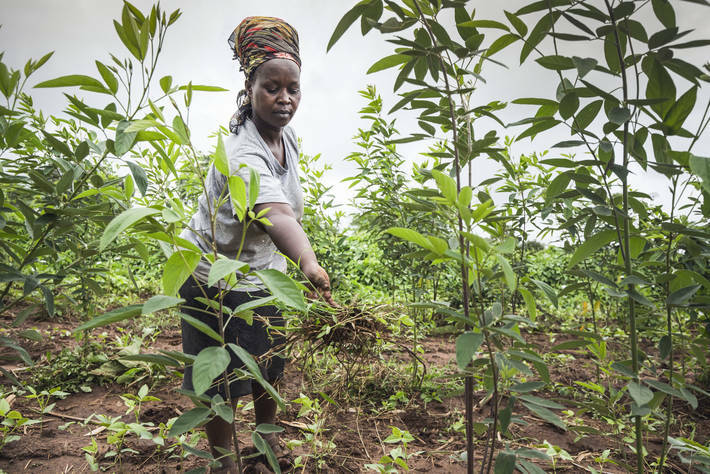 Nutrition sensitive plans in 2015 include the Agriculture, Health, Industry and Trade, Women and Social Affairs, Fisheries, Education, and Economy plans. The Advocacy and Communication Plan for PAMRDC was adopted in 2014 with the motto ‘Nutrition is Development, a Commitment to All’. A National Code of Marketing of Breast-milk Substitutes is in place and a ministerial decree on salt iodisation was approved in 2000. Legislation on food fortification has been drafted and is currently under review and maternity protection legislation covers 8 weeks. The establishment of provincial technical working groups has resulted in the design and approval of provincial multi-sectoral nutrition plans, which complement the national level plan. The report of the annual indicator assessment of the implementation of PAMRDC was submitted to the Council of Ministers. This year, the assessment was also carried out at the provincial level, thereby informing provincial governments on the progress. A Mozambican delegation participated in the fourth African SANKALP Meeting on Investment, Innovation and Entrepreneurship in Nairobi. The delegation included people from SETSAN and various food commodity industries. The meeting highlighted the importance of working together to build a community for the promotion of nutrition. A Common Results Framework is part of the PAMRDC, with different actors, including the coordination, monitoring and evaluation (GT-PAMRDC) group, the planning and budgeting (GT-POSAN) group and the communication, advocacy and training (GTF) group working towards achieving common goals and adequate sectoral integration within the Programme. Recently, the Government has increased the support for nutrition and funding of the PAMRDC’s activities. The results of the annual assessment framework, which evaluates progress in implementation, are submitted to the Ministers’ Council. The Civil Society Network is involved in this process. The PAMRDC is the Common Results Framework for nutrition that was built to take into account the policies and strategies adopted in the country. The Monitoring and Evaluation framework of this CRF was revised in 2014. PAMRDC has been implemented in six of the eleven provinces of Mozambique. An indicator assessment framework exists to evaluate progress of PAMRDC implementation annually. The reports are submitted by SETSAN to the Council of Ministers and result in concrete recommendations to be implemented by each sector. In-country nutrition stakeholders are aligned with the Government´s priorities. Members of the SCP and the Business Network align their plans with PAMRDC. It remains a major challenge to identify funds allocated specifically for nutrition. Only a few sectors are currently able to track amounts allocated for nutrition in national budgets. Overall financial tracking and transparency continues, as funds are channelled through the public finance system (e-SISTAFE). Advocacy for longer-term resource allocation to scale up and expand nutrition activities is done on a continual basis. It is necessary to improve the provinces’ PAMRDC resource allocation. The PAMRDC is fully costed at both national and provincial levels. Challenges remain, however, in identifying actual costs incurred by sectors as there is no specific budget line for nutrition in the national budget, nor is there a clear mechanism in place that finances nutrition actions. As most funds are channelled through the Public Finance system (e-SISTAFE), which provides an overview of funds assigned, transparency and adequate tracking is ensured. Most nutrition actions across sectors are financed by sector budgets but the identification nutrition relates costs remains a challenge. 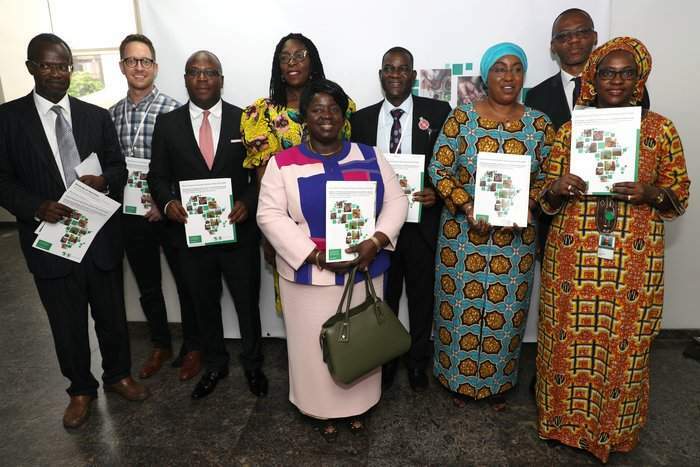 The PAMRDC was costed in 2010 but SETSAN believes it has the capacity to intensify ongoing efforts to reach more ambitious goals in financial tracking and mobilisation. Transparency is enabled by the fact that most funds for nutrition, whether from government or partners, are channelled through the Public Finance System (e-SISTAFE). 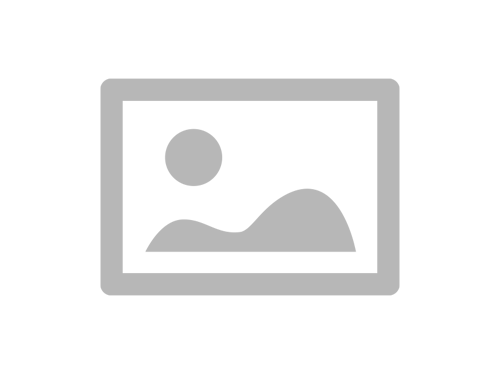 This allows better viewing of where funds are allocated. A multi-stakeholder group has been established for planning and budgeting of food and nutrition security at the central level (GT-POSAN). This group is led by SETSAN with support from the Ministry of Economy and Finance. Work is ongoing to identify long term availability of external financing and to ensure availability of domestic funding within each sector in order to support the scale up of nutrition interventions.